The Hindi film fraternity turned up in large numbers to say goodbye to the iconic filmmaker Yash Chopra, who passed away on Sunday, October 21. Some of the stars who arrived were Rekha, Shashi Kapoor, Rishi Kapoor, Randhir Kapoor and Ranbir Kapoor, Kajol with sister Tannisha and mother Tanuja, Sridevi and husband Boney Kapoor, Prem Chopra, Sohail Khan, Arbaaz Khan and their father Salim Khan, Ramesh Sippy, Ila Arun, Tabu, Ashutosh Gowariker, Saroj Khan, David Dhawan, Imran Khan, Sanjay Gadvi, Manoj Kumar, Shabana Azmi, Vidya Balan (in the picture), Karisma Kapoor and Abbas-Mustan were present among others. 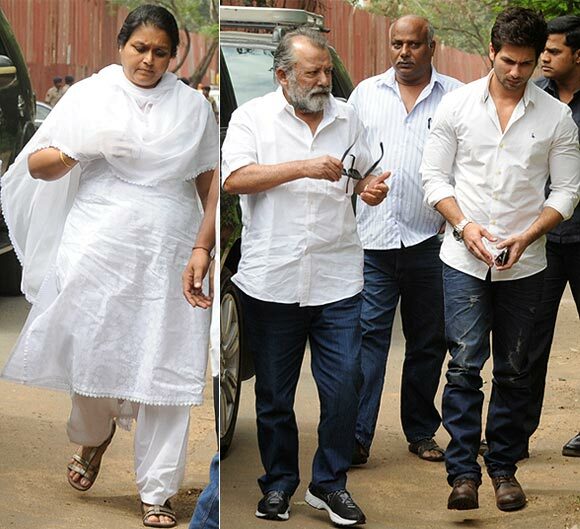 Pankaj Kapur, his son Shahid Kapoor and wife Supriya Pathak also arrived in white. 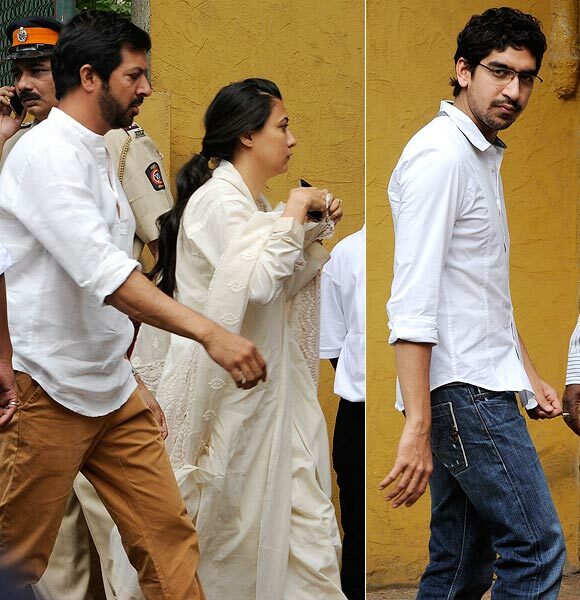 Ek Tha Tiger director Kabir Khan arrived with his wife Mini Mathur. Director Ayaan Mukerji (Wake Up Sid) also arrived in white. Actors Suneil Shetty, Minisha Lamba and Varun Dhawan (who recently debuted in Student Of The Year) arrived. 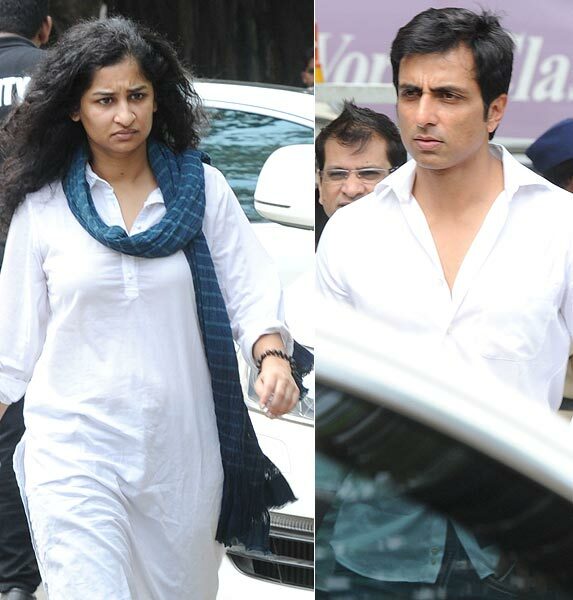 English Vinglish director Gauri Shinde and actor Sonu Sood arrived. 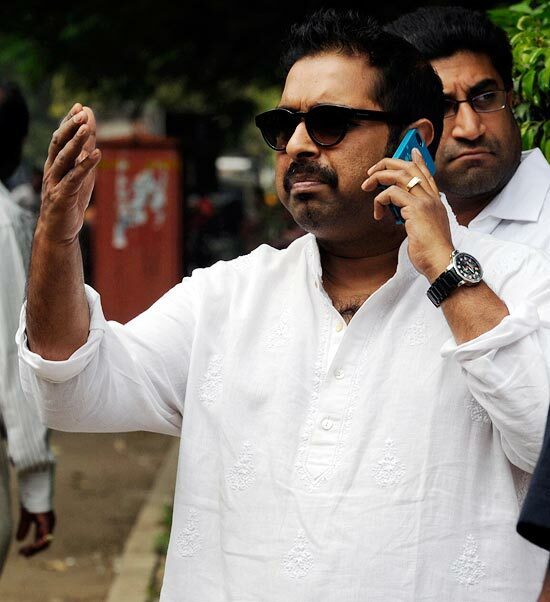 Singer and musician Shankar Mahadevan arrived.